Timsbury Manor House dates approximately to the late 1840s. It was built on the site of Timsbury Manor Farm by the Hon. Ralph Dutton who had received the estate of Timsbury from his father Lord Sherborne. 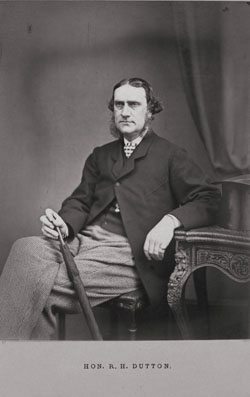 Dutton was a Conservative politician who was elected Member of Parliament for Hampshire South in 1857, a seat he held until 1865, after which he represented Cirencester until 1868. He was also a director of the London South Western Railway Company and from 1875 until his death in 1892 was Chairman of the board. In 1901 Colonel Thomas Edward Vickers bought the estate. Thomas Vickers was one of the brothers who ran the famous Vickers Engineering and Armaments Company. In 1909 he sold the Estate to Major Francis Charles Baring of the Barings Bank Family. After the First World War the estate changed hands again when Baring sold it to Alexander Riguad Wilson-Wood. It was during this time that Winston Churchill regularly visited the Estate on fishing trips. During the Second World War the house was used as a billet for Canadian officers. Lord Newton bought the estate in 1946 and lived in the house until 1958 when it was sold to Oliver Cutts. 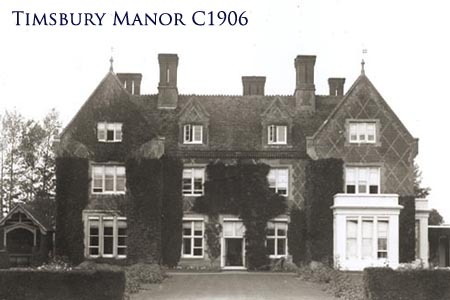 As Cutts bought the estate primarily for the fishing the house was left empty until the The International Athletes’ Club funded a training retreat at Timsbury Manor. Both the 1964 and 1968 British Olympic teams trained here using the grounds for track and field events. During the 1970’s the estate was split up. Lynn Seymour the Canadian ballerina and choreographer bought the house and lived here until the present owner bought it in 1990. We are always interested to hear from people of have any information regarding the history of the house.